3D printers are definitely not as easy to use as they seem. In fact, if you don’t know how to design something in 3D, chances are you won’t be able to print it with your “shiny” new 3D printer. However the folks over at AIO Robotics may have produced something which will change the way you look at 3D printing. 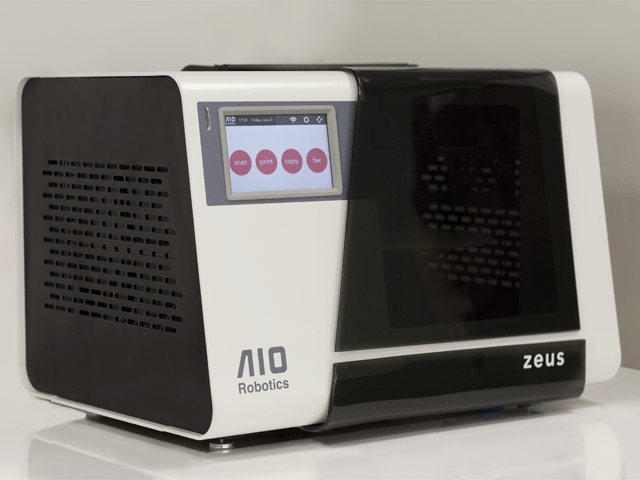 Their upcoming innovation is called Zeus – an all in one 3D printer, copier and scanner which is nothing short of a true innovation. 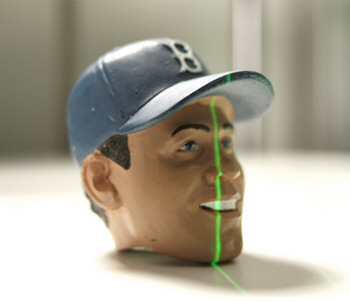 It’s the world’s first 3D scanner that comes with an integrated 3D printer as well. So now you will be able to scan whatever you like and print it immediately without any problem at all. For example, you could scan your keys, vases or teaspoons and print them in a jiffy. You can also fax your 3D scans to other 3D printers all over the world, which makes product distribution a whole new ball game. The device, which is still in prototype stage, offers a very simple user interface, and sports a 7” touchscreen from where you can print, scan or fax your 3D objects with just a tap. It also features a simple Plug-N-Play interface as well as a very cool one touch Auto Copy function, which lets you create an exact copy of an item in an instant. Zeus has just secured full funding on Kickstarter, but there’s still time to jump on the orders. A minimum pledge of $1,999 will score you one of your own early bird units, but you’ll have to be patient since the first units won’t be shipping until July of next year. Check out the official Kickstarter page for more information and a demo of the product.